Tickets are £10 for members (£5 for under 16s) and £20 for guests (£10 for under 16s). One of our Club Members, Katie Scorgie, is an equestrian artist who lives in the village at the top of the lane leading to the yard. 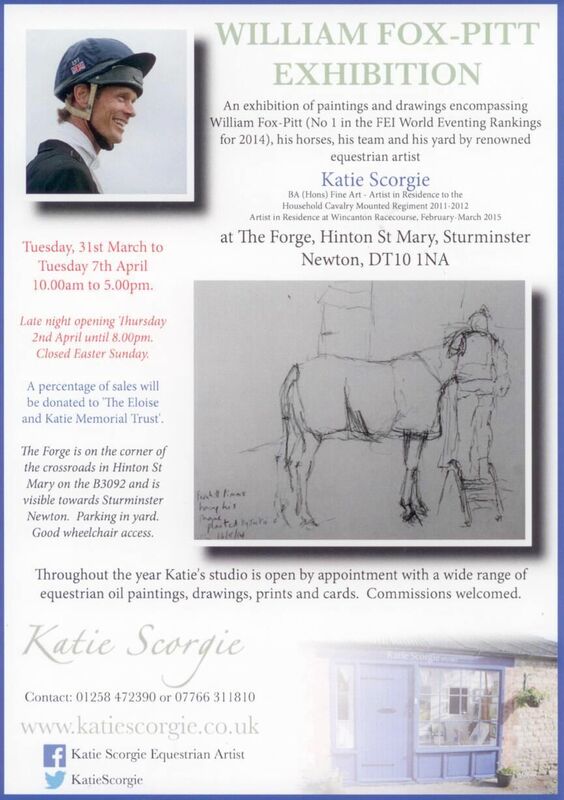 She is having an exhibition of recently completed paintings and drawings based around William, his horses, his team and his yard. Katie is an incredibly talented artist (she was Artist in Residence to the Household Cavalry Mounted Regiment between 2011-2012). A flier with more information on the exhibition is attached, along with the invitation to the official private view. Do have a look at her website at www.katiescorgie.co.uk and her Facebook page Katie Scorgie Equestrian Artist.